Posted on February 15, 2017 - 02:30 AM by Your Toledo Bend Express Team! If asked, most people would name spring or summer as the best time to shop for a house. After all, those are typically the busiest seasons for house hunting, regardless of what part of the country you look at. There are a few reasons for this – including the school year, weather, summer vacations, and a general sense of starting anew. However, new numbers from ATTOM Data Solutions might make you question conventional wisdom on the subject. 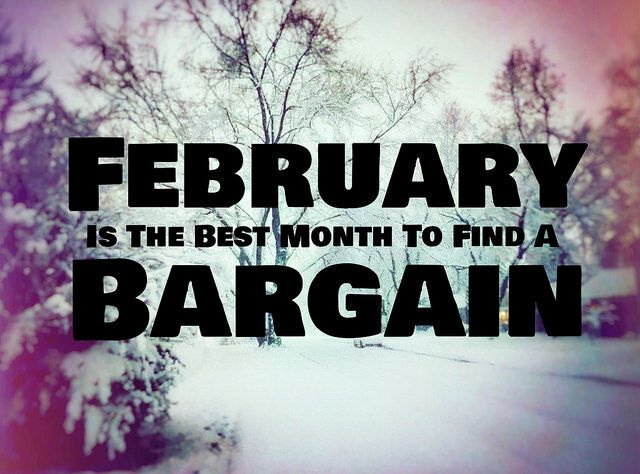 That's because, after analyzing 16 years worth of data covering 50 million home sales, they found February is the best month to buy a house at a discount. In fact, their analysis shows homes sold during the month went for 6.1 percent less per square foot than the rest of the year on average. By comparison, April home sales numbers show more than a million more homes sold but at a median price just 1.8 percent below the annualized sales price. In other words, if you're looking to buy a house and are hoping to find a great deal, now may be the best time to start hunting. And, in addition to being the best month to find a bargain, February also registered the top five days for buying a home at the biggest discount. More here.